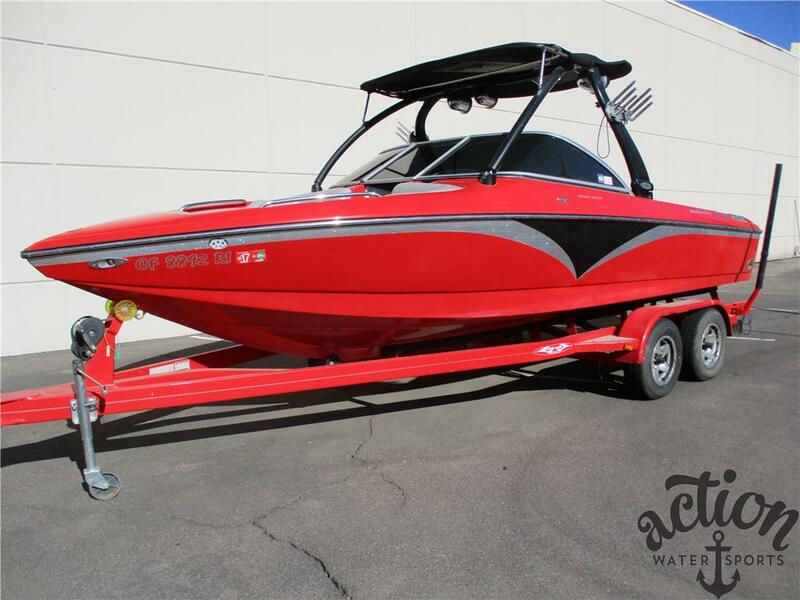 2006 Centurion Avalanche C4 Fantastic Condition! The Series II tower is a quality custom-built tower that usually ships within 4 weeks and competes in price with the generic one-size-fits-all aluminum towers on the market. Shipping is generally only $149 to most addresses in the contiguous 48 states. • Looks better than a universal tower. • Has better resale than a universal tower. • Is stiffer than a universal tower. • Is silent – no creaks, groans, or rattles. • Collapses easier than a universal tower. There is no other tower on the planet that is stiffer, but maybe even more importantly, there is no other tower on the planet that is easier on your customer’s boat deck and less likely to cause stress cracks. Stainless steel tubing - designed and manufactured with 2.25 inch diameter stainless steel tubing for exceptional corrosion resistance and incredible strength. Compared with aluminum, stainless steel is 40% stronger than similar diameter aluminum tubing, not to mention the increased rigidity provided by the Series II's triangulated design. Polished mounts and double tow spool – one of the only wakeboard towers on the market utilizing polished mounts and polished tow spool. The fit and finish is unsurpassed. Progressive wishbone shape - designed to eliminate tower flex and to provide concrete resistance against the rider’s diagonal pull, not just straight back. This shape results in the stiffest, quietest, and most rigid tower on the market. Custom fabricated - each tower is custom fabricated giving an exact fit to the boat. This is not a universal tower. Fully collapsible – in 30 seconds the Series II Tower can easily be collapsed by just one person. This tower is fully collapsible to fit through a 6 foot 11 inch garage opening on most boats. Precision welds- tube ends are machine welded. These automated welds are near perfect in precision. StarOne’s weld quality is just one more attribute that sets the Starone Tower apart from the crowd. This is just another reason why StarOne has been, and will continue to be, the leading manufacturer of OEM products for some of the top selling boat companies world wide. We will contact you after the purchase to determine the boat year, make, model. We will then determine if we need measurements. We have a very large database of measurements but it is possible that for some boats we will need you to provide us with some simple information.